Jonathan Choe reports live with the latest from Topsfield Sunday night. 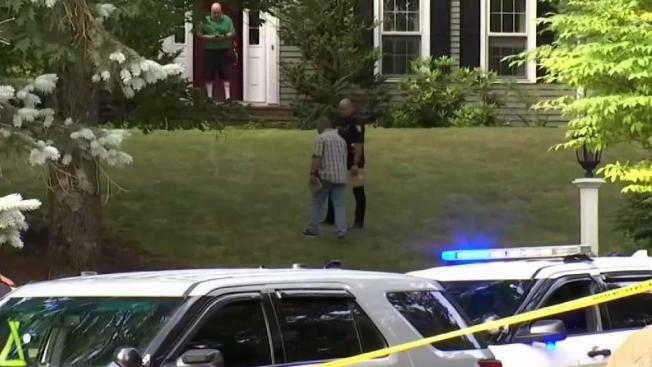 A Topsfield woman is recovering after she was struck in the chest by a reportedly stray bullet at 4 Juniper Lane on Saturday. Police confirmed Sunday that someone fired the gun from outside the home and that the bullet entered the house and struck the woman in the chest. Police said that the 64-year-old victim had been visiting the home, and that a family member was home at the time but is not a suspect. Police are still searching for the suspect and trying to figure out why someone fired a gun, although state police have described the shooting as random. No arrests have been made. Police would not say Sunday night if there were any suspects or leads in this case. Police have confirmed the bullet came from outside the home. Police say the woman is in the hospital and is expected to be okay. Her name has not yet been released. 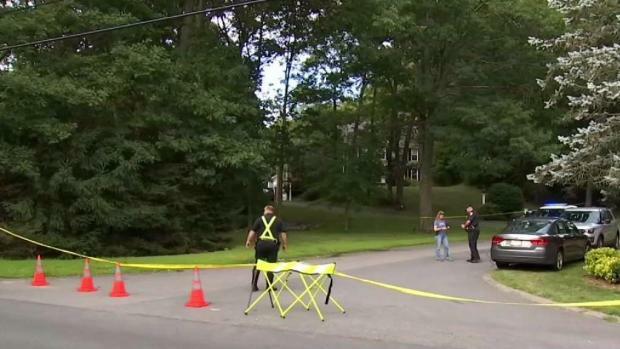 The Essex District Attorney's office also told NBC10Boston on Sunday that the shooting happened around the same time a car show was happening at the Topsfield Fairgrounds. However, they would not say if the shooting was connected in any way.